Restoring OKLAHOMA! 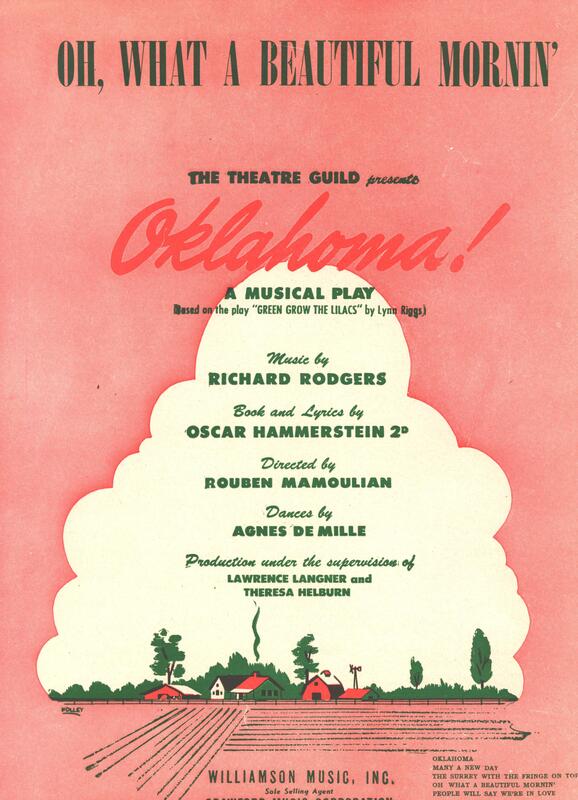 Our newly available restoration of OKLAHOMA! arrives on the heels of the R&H restorations we've previously released, those for CAROUSEL, ALLEGRO, SOUTH PACIFIC, THE KING AND I, PIPE DREAM and THE SOUND OF MUSIC. It took us this long to get around to OKLAHOMA! 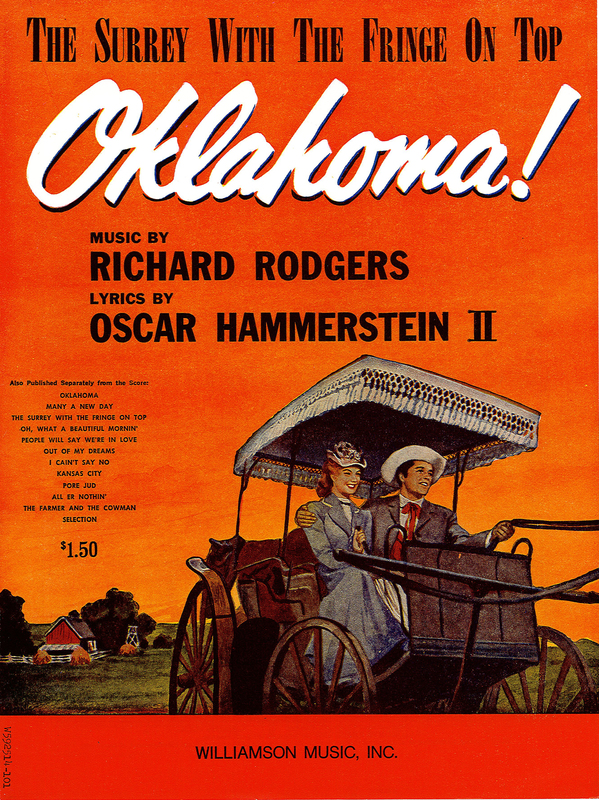 for the simple reason that the performance materials for this show, Rodgers & Hammerstein's first mega-hit, looked to be in remarkably good shape, and there seemed to be little need to restore them. Broadway musicals, even the classics, do not step like Venus out of the half shell. They are born in chaos, and OKLAHOMA! was no exception. Even though most of the script and the songs were ready to go on the first day of rehearsal, there would be only six weeks until the first public performance. In this time the vocal arrangements, the dance music, the overture, the incidental underscoring and the change of scene music had to be created, orchestrated and copied. And each time a change was called for these had to be recreated, reorchestrated and recopied. By the time OKLAHOMA! opened on Broadway (March 31st, 1943) the musical parts and the script were filled with layers upon layers of alterations, so much so that they were almost impossible to follow. After the Broadway production closed a team of copyists did their best to decipher the "chicken scrawl" on each page, but mistakes and inconsistencies remained. Our job was to identify and eliminate these. We were lucky enough to have had earlier conversations with Jay Blackton, OKLAHOMA! 's original musical director and conductor and with Gemze de Lappe who performed in the Broadway production and assisted Agnes de mille on several subsequent productions. We also had access to Robert Russell Bennett's full orchestra scores. 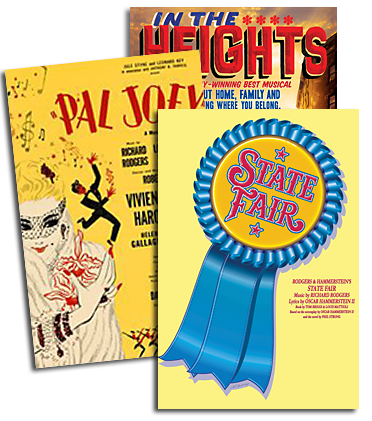 What we have been ultimately able to achieve is a user friend set of performance materials that captures in every detail both the comic and the dramatic power of OKLAHOMA! 's timely script and game changer of a musical score. OKLAHOMA! okay is now OKLAHOMA! even better! Read more about the restored materials for OKLAHOMA!